Bangkok 10200 , Thailand . Please print this map and direction guide for showing to taxi driver. 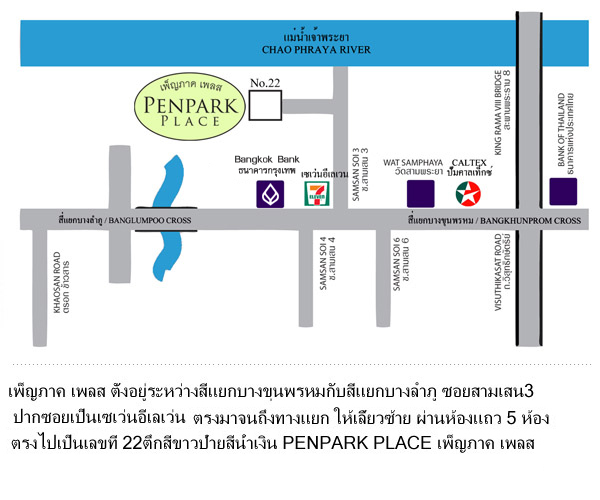 PENPARK PLACE is 42 kms. from Suvanabhumi airport. No MRT(subway) or BTS (sky train) transport directly to here. 1. 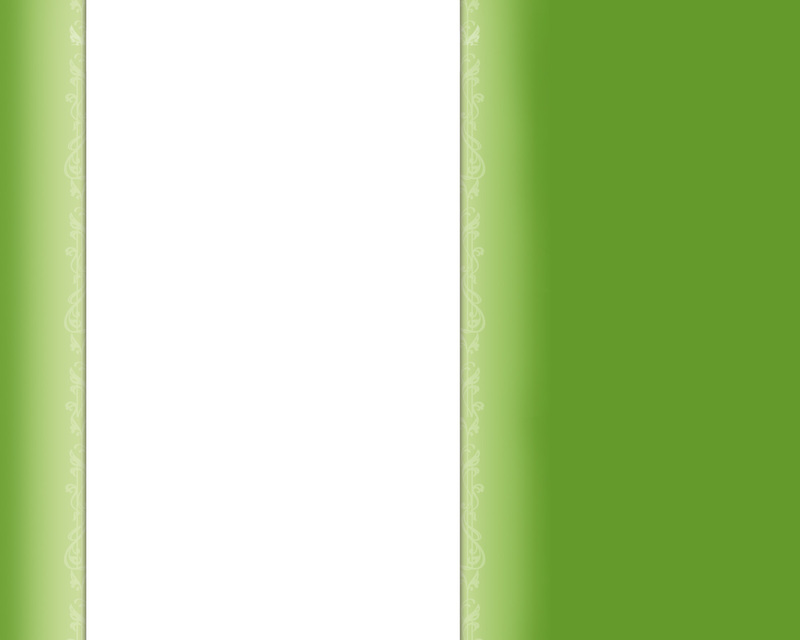 By meter taxi : available on 1st floor, outside of the airport exit, state your destination. There is 50 baht surcharge on top of the meter (per a taxi) plus possible expressway toll 70 baht. The meter should run up to 250-300 baht and it takes approx. 50-90 mins. depending on the traffic. 2. By airport rail link : take city line rail link at underground of the airport. Operate from 6 am.to midnight, fair 45 baht, provide between airport to Phyathai station within 30 minutes. 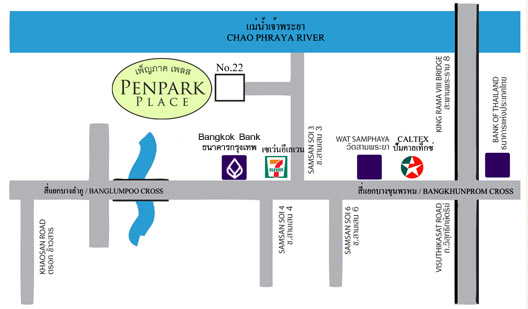 Take taxi from Phyathai station cost about 70-80 baht to Penpark Place.